Last summer, I read “The Permaculture City” by Toby Hemenway. “Permaculture” is a system of food systems design which uses Earth’s natural systems as its model. But I was disappointed. The book wasn’t actually very good, but I am still glad that I read it because I learned two very important concepts of permaculture design: the concept of zones, and stacking functions. 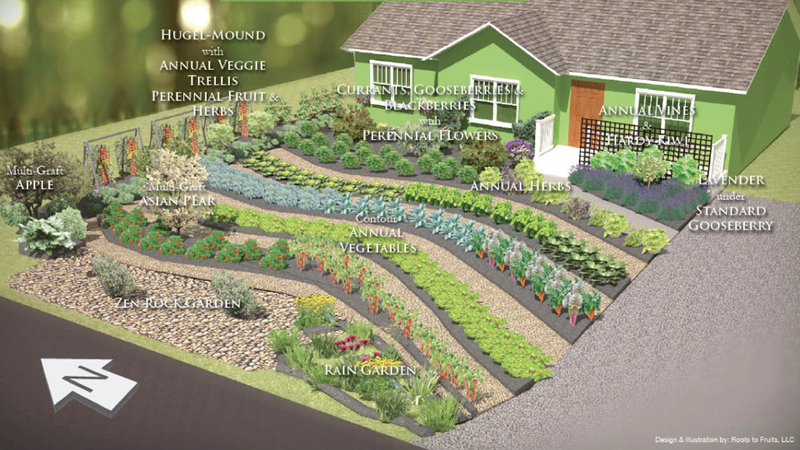 Permaculture design starts inside out using zones ranging from Zone 1 to Zone 5. In Zone 1, you place the plant, or thing that you need to tend to the most frequently closest to your front door. The thing that you need to tend to the least is placed farthest away. So greatest impact and most frequent work, Zone 1. Least impact and least frequent work, Zone 5. Duh! Isn’t that obvious? I felt the same way, but how often to do we ignore what is happening at our front door, where we have the greatest impact, while focusing on that which is farthest way while having the least impact? And focusing here does not mean that we cannot have a national impact. Think of our talented and courageous young people in November. They focused here, and within a week made top of the fold NY Times. In less than one week, they achieved more than most of us will achieve in a lifetime, and they did it by focusing here. The above writing is from a Facebook post on 26 Jan 2017 @ 10:29 PM CT.